June 13, 1936: Launch of the Horst Wessel at Blohm & Voss Hamburg, Germany. 1936 Horst Vessel probably on trials. 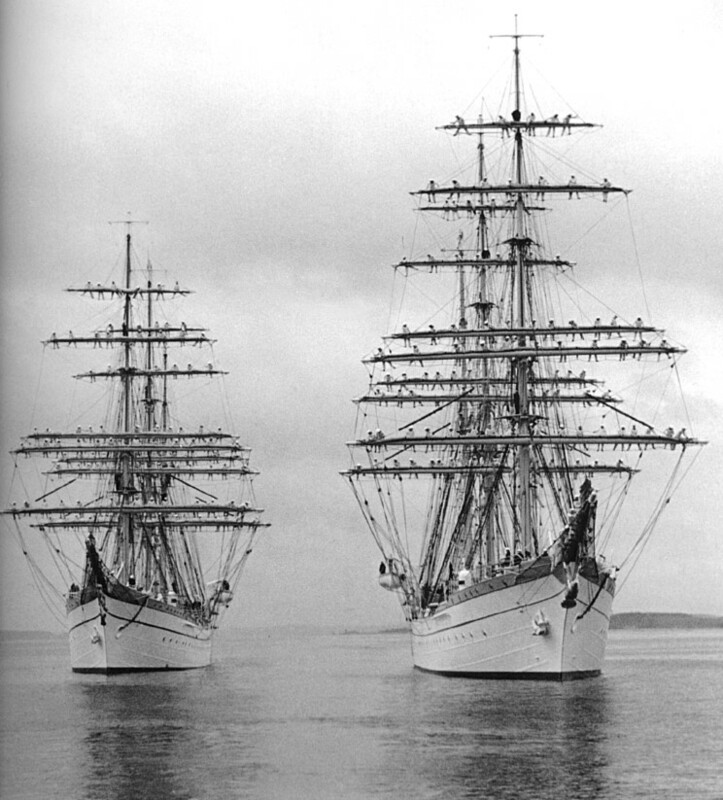 Gorch Fock (left) and Horst Wessel, date and location unknown. Horst Wessel seen in May 1938. 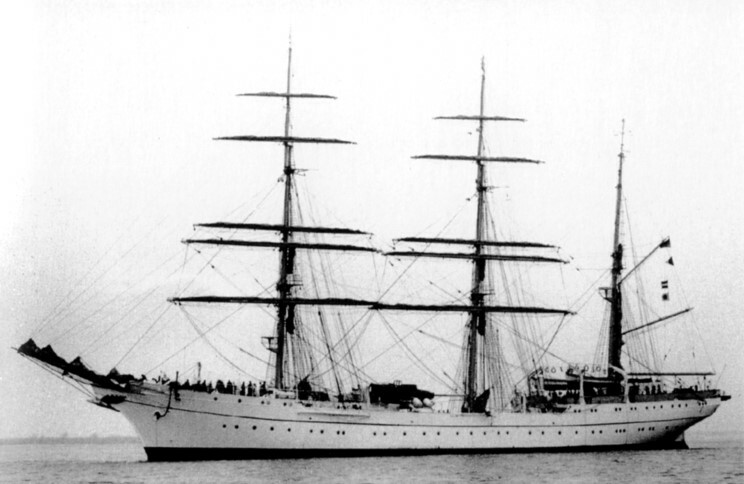 USCG Eagle in 1946 shortly after commissioning into the US Coast Guard.